Personal Injury Lawyer In The Twin Cities - Read Our FAQs | Woods & Thompson, P.A. We listed out a few questions that we get frequently to help you understand how our personal injury lawyers can help you. Remember, if you have any additional questions, feel free to contact us. We are here to help! No-Fault Insurance (typically the injured person’s own insurance company) pays for most out-of-pocket losses, such as medical and chiropractic bills, lost wages, and many other types of out-of-pocket loss. It doesn’t matter who caused the accident – hence the name “No-Fault”. If you have been injured, you may also recover from the “at-fault” or negligent driver for your other losses, such as permanent injury, pain, suffering, disability, embarrassment, and other losses. Because the No-Fault Law is complicated, the following information can only provide a brief summary. We strongly encourage you to call Woods & Thompson, P.A at 763-571-2345 to talk to an experienced personal injury lawyer if you or a family member have been hurt in an accident. The basic premise behind the law is that anyone owning a car in the State of Minnesota is required to carry insurance to cover their own medical expenses, wage loss, and other economic losses arising out of an automobile accident. That way you are able to protect yourself regardless of fault or whether the other driver is insured. 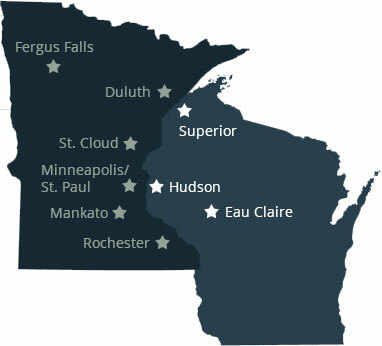 Who is required to have Minnesota No-Fault Insurance? All Minnesota motor vehicle owners must have No-Fault insurance except motorcycles, which only need liability coverage. You will need to have proof of insurance to obtain or renew your license plates. It is a misdemeanor criminal offense if you drive, or let anyone else drive, your vehicle without insurance. What insurance coverage is required? 1. Bodily Injury Liability (BI): $30,000 per person $60,000 per accident. This is the coverage that covers you if you cause an accident and injure someone. 2. Property Damage Liability (PD): $10,000 per accident. Pays for damages to the other car or other property if you cause an accident. 3. Uninsured and Underinsured Motorist (UM/UIM): $25,000 per person $50,000 per accident. This is coverage for you and your family if you are injured by a person without insurance or without enough insurance. 4. Personal Injury Protection (PIP): Also called “No-Fault” benefits. What is included in “No-Fault” benefits? Medical Expense Benefits: Typically $20,000 per person. This covers almost every type of treatment available, and you can choose your own doctors. The insurer must also pay your transportation costs or mileage to and from treatment. Wage Loss: 85 percent of your gross lost income up to $500 per week. This includes lost wages while getting medical treatment. Replacement Services: Up to $200 per week (starting one week after the accident) to pay for household help such as housecleaning, snow shoveling, and yard work. An injured “primary homemaker” receives payment for lost services even if there is no out of pocket loss. Death Benefits: Lost wages up to $200 per week, replacement services up to $200 per week and funeral cost up to $2,000. These are the minimum coverages. You may buy higher coverages. If you own more than one vehicle, your insurer must offer to sell you No-Fault stacking, which multiplies all the No-Fault benefit limits. What other coverages are there in my insurance policy? 1. Collision: Pays for damage to your car from an accident no matter who caused the accident. 2. Comprehensive: Pays for damage to your automobile caused by fire, theft, vandalism and other perils. What should you do if you are injured in a car accident? 1. Report the accident to the police immediately. Any involved driver must exchange identification and vehicle registration information. The law also requires helping an injured person. 2. Get medical care for your injuries. 3. If there is an injury or property damage of $1,000 or more, a driver must fill out an accident report and mail it to the Commissioner of Public Safety. 4. Report the accident and your injuries to your insurance company in writing immediately. Early notification will speed payments for medical expenses, wage loss and other benefits. 5. Don’t give a written or tape recorded statement to any insurance company without talking to a lawyer first. 6. Talk to a personal injury lawyer at Woods & Thompson, P.A. as soon as possible. Which company pays your No-Fault benefits? Generally, you collect from your own company. If you are in a commercial vehicle, you usually collect from the commercial vehicle’s insurance. Even if you don’t own a vehicle or otherwise have coverage of your own, you can usually apply to have coverage assigned to you. This can get very complex, so call Woods & Thompson, P.A. immediately if you have questions. If the accident was not your fault, then your insurance rates will not go up for making a No-Fault claim. How do you start collecting No-Fault benefits? Report the accident and your injuries to your insurer immediately. Fill out an “Application for Benefits” form. There will usually be medical and employment authorization forms attached. The law may require you to sign authorizations for your insurer, but you should always check with an attorney. Report your losses to your insurer in writing. If you can, send copies of medical bills, proof of lost wages and check stubs, prescription receipts, replacement services, etc. Your insurer may ask that you be examined by a doctor of their choice. Consult an attorney immediately. The physical examination must usually take place in your home town. You should see a doctor for your injuries as soon as possible and then continue with all treatment recommendations. If you skip treatment for a full year, the insurer may be able to deny future benefits. When can you make a claim for personal injury against the At-Fault insurance company? If the driver causing the accident is uninsured, or hits and runs from the accident site, you may have additional rights. If the other driver caused the accident, his or her insurance company must pay for your property damage promptly without any deductible, even if you don’t carry collision coverage. If you were partially at fault, the other insurance company must pay a fair percentage equaling their driver’s fault. If you have collision coverage, your company may pay your entire bill, minus your deductible, and then go after the other driver or his insurer for repayment. If they do, they must pay you back a fair percentage of your deductible. If you don’t have collision coverage and there is a disagreement about who caused the accident, you may go to court to force the other driver or his or her insurer to pay. However, if you go to court only for your property damage, you may be giving up any right to make a claim for injuries in the future. We strongly encourage you to call the law firm of Woods & Thompson, P.A. before taking any action and letting us help answer your questions. Do you have to give the insurer a statement? One or more of the insurance companies may request you sign a statement or give a tape-recorded statement of the facts of the accident. Other Insurers: You are NOT required to give a statement to the other insurer. Your Insurer: You have a right to no-fault benefits regardless of who caused the accident. There is usually no reason for your insurer to request a statement. However, in certain situations, they may have a right to a statement. It is very important that you meet with a personal injury lawyer at Woods & Thompson, P.A. before providing any statements. Are you required to sign a Release? There is no reason to sign a release to get your no-fault benefits paid. In fact, do not sign anything until you have spoken to an experienced personal injury attorney who can help you complete the forms absolutely necessary to protect and advance your claim. How long can the insurer take to pay? The No-Fault insurance company usually has 30 days to pay. There is 15 percent per year interest penalty on overdue payments. Do not permit your own insurance company to take advantage of you by means of many delay tactics. What if you are not being treated fairly by your insurance company? You should contact a lawyer to defend your rights. The insurance company is financially motivated to make sure your claim is minimized or even defeated. Unfortunately, many people find out the hard way that even their own insurance company doesn’t necessarily care about them. The insurance companies have experience and the advantage when dealing with an accident victim who does not hire an attorney. When should a lawyer be consulted? Immediately! A great law firm like Woods & Thompson, P.A. will cost you nothing. In fact, if you desire fair compensation, you need to act quickly. There is a real danger your rights will be prejudiced if you don’t consult a lawyer right away. A lawyer may want to interview witnesses, take photos and gather other important investigative evidence immediately after the accident. Remember that insurance companies are giant corporations. They have professional investigators, lawyers, and adjusters working to protect their interests. It is an unfair advantage for them to take on your claim if you do not have a quality personal injury lawyer looking out for your best interests. You really need to have Woods & Thompson, P.A. law firm protecting your rights. Most lawyers who limit their practice to personal injury only charge a percentage of the recovery. Some lawyers, like the law firm of Woods & Thompson, P.A., concentrate their practice on personal injury claims just like yours. Woods & Thompson, P.A. has the experience your case deserves. We can guarantee you will not personally owe us anything unless we assist you in making a financial recovery. You never have to pay any money up front. Please Drive Carefully and Prevent Accidents. You can avoid many accidents by simply using common sense. Make sure your automobile is always in good mechanical condition. Obey the rules of the road, keep a safe distance from other vehicles, and don’t speed. When the weather is bad, don’t drive. Drive defensively always keeping alert to what other drivers might do. The law firm of Woods & Thompson, P.A. wants you to avoid needing a lawyer by having a safe and happy trip.